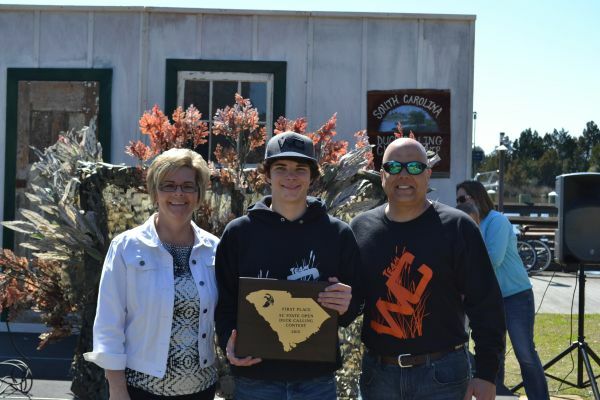 Ducks Unlimited, SCWA, and NWTF. This dark horned 9 point was on the move in search of a doe. I stopped with a grunt and took him out of the hunt. 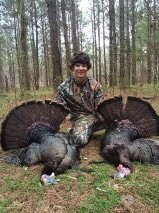 Awesome morning hunt in the upstate of SC. 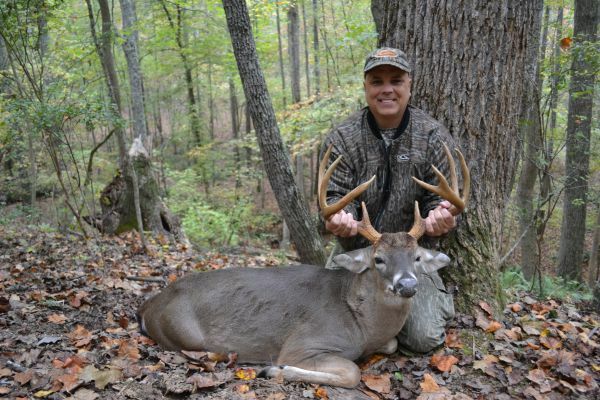 This bruiser of a buck we named, 'Claw' made a fatal mistake checking his scrape line on a hardwood ridge. Blessed morning in the deer woods with my dad. 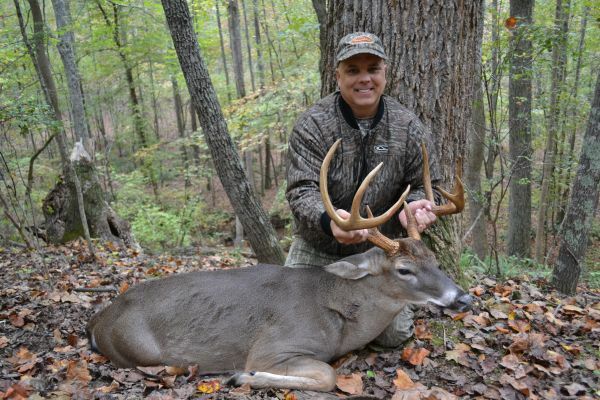 Awesome to see him take our 'claw' deer which we've been hunting for the last three years. 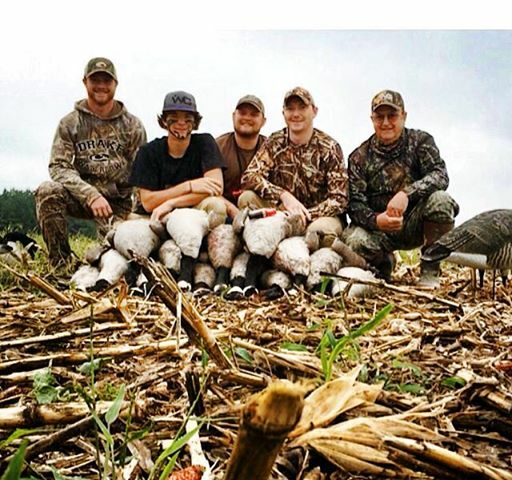 Last day of early goose turned out to be a very good hunt for the 'crew' (Daryl, Blake, Ty, Wesley, Travis) Even though the corn field had been plowed (leaving no cover) we managed to land birds in the decoys. 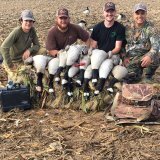 Filmed an awesome early goose hunt with some good friends. Family Traditions-#3 generations of passing it on! Great day on Wylie with Cody Ahlstrom. 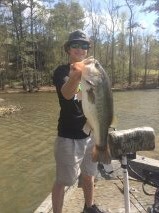 Blessed to land this 9.2 lber on Lake Wateree. Blessed to win the 2015 SC State Duck Calling Championship and will be representing SC in Stuttgart, AR for the World Championship. Opening morning full of Blessings and my dad was there to experience it with me. Had a successful goose hunt which was topped off with a mallard/black hybrid. 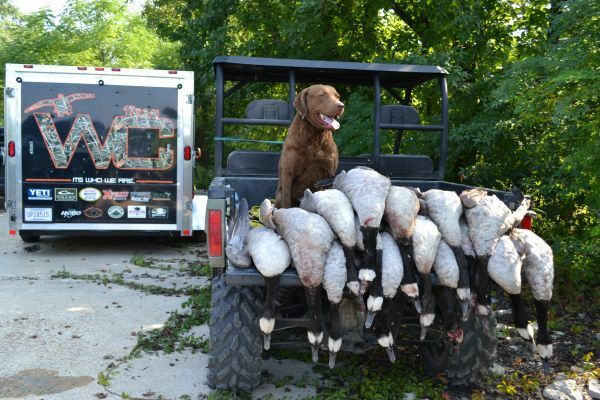 Had a blast 'laying out' for early season geese with crew members - Pete, Ty, Wesley and Robbie. Hunting/scouting in a new area, heard two flocks way off and later these three flew down the middle of the lake passing us with not much interest, and then called them back took one hard circle and they were landing in the blocks! Love laying out with wings committed and black feet down. 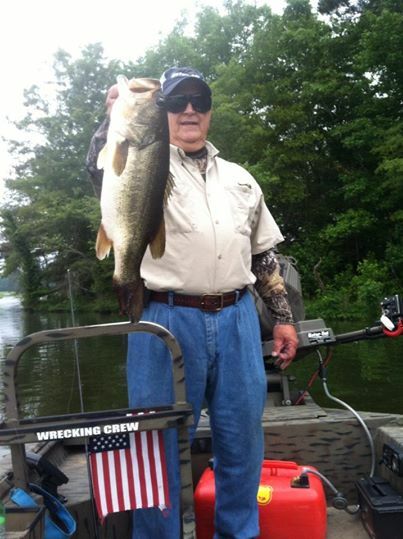 My dad and GrandPa had a awesome Fathers Day Friday and yes, even on the the 13th.Several bass were caught, and a ton of memories made. 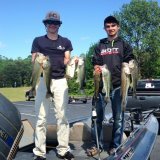 While fishing Wateree Lake, I found some good fish holding on some deep drops and piers. I caught seven nice bass, got broke off once, and landed a nice 7.1 lb 'mossy jaw'. 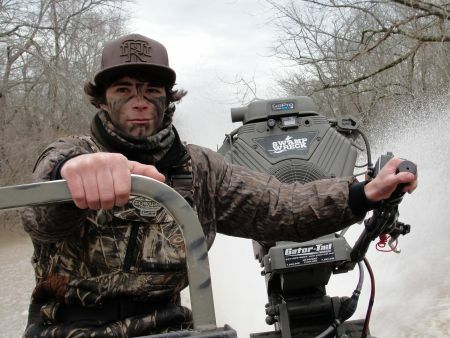 YoungbloodsTV-Bringing you real waterfowl action, up close and personal. 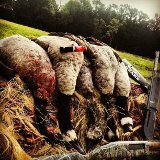 My buddies: Blake,Cameron,and Gauge,were successful this am on some nice geese. 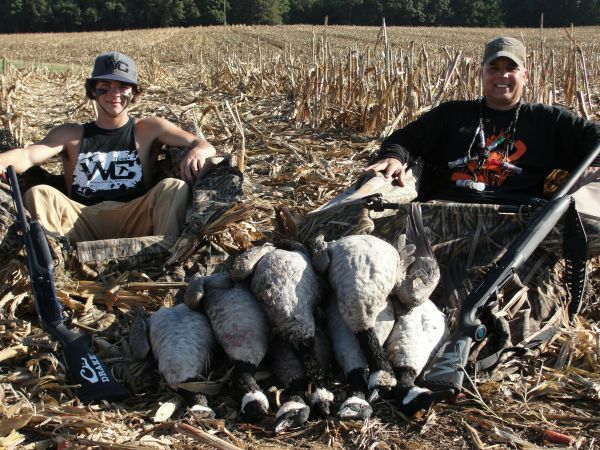 These birds worked really well, and Blake Langley filmed the hunt. Hoping for a top 3 in next years contest! Yeah Jeff the yellow shirt looks great i love it!! and i dont want to give the spadefish too much of a rest! I''m ready to get on em again! This actually was captured from about 9 till around 10:30 and we stayed a little later than 11 before we had go meet mother for lunch lol! but the heat isn't holding the wrecking crew back! Blake has had 4 different toms circle him this year. He is really gaining some valuable experience. Jeff we have actually thought of using 'em in some different situations. Wrecking Crew Style! yea Jeff, and to see 4 birds fly across the creek was really exciting! Only two shots rang out, just wish I had Blake with me! My dad worked another tom from that same Hill but a coyote wanted to join in! Yea, we still have a few hens left out and seem to behind the low country. The boys are ganging back up. You are right, woodsmanship is 2/3 in my book. Looks like ya'll did some 'Wrecking' of your own! Thanks Jeff. There were 26 contestants from all over the United States. Made a lot of new friends too. 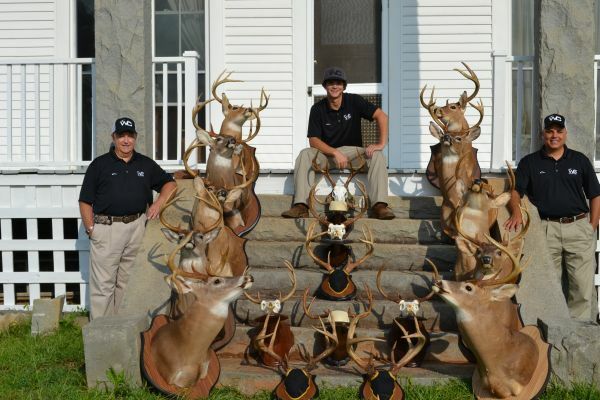 Thanks Brian, we just did a show @ Schofield's Hardware this past Saturday after we got through hunting. Getting ready for the Intermediate World's Contest this weekend in Stuttgart, AR so wish me luck. The feeling is unforgetable!! Having to get them in that close range and being as stealthy as you possibly can is just great!! I shot mine at 30 yards and at first i had to let him get behind a tree then i stood up and drew, after he got in the clearing and gave me a good shot i stopped him! 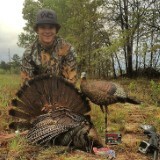 After seeing him run off with that Easton arrow in his side was a feeling like no other!! also I have never climbed down a tree in a climber that fast! If your not an archery guy, you need to change up! Own Carolina Style Apparel and co-own the 'Wrecking Crew' Guide Service. 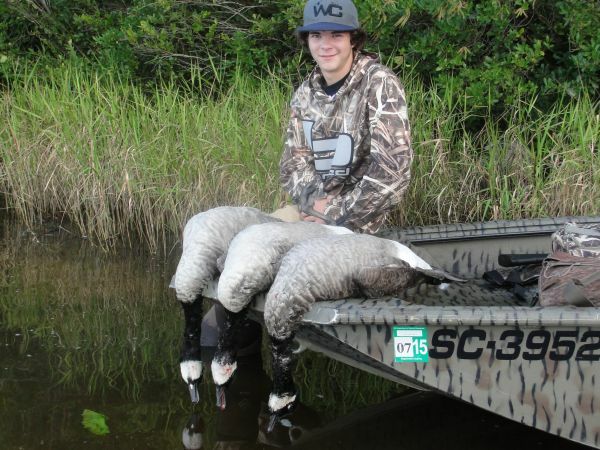 I compete Nationally in Waterfowl both Duck/Goose calling contests. I have 26 win, 53 top 5's and 1 World Championship. 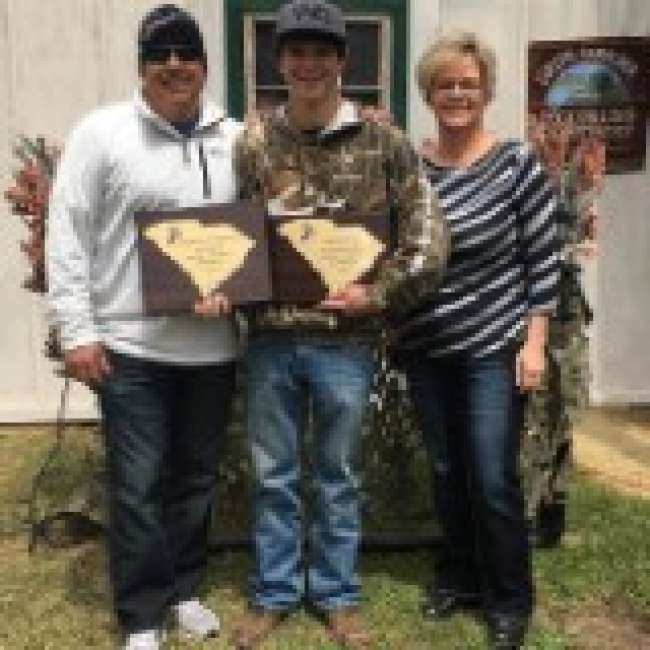 I won the SC State JR Duck three times and the adult twice. Love to Bass fish and inshore for Red's and offshore for Mahi.